Two psychologists who measure the psychological responses of people in different situations. They say they can show us "how to analyze situations and problems, how to come to the right conclusions, how to make good decisions, and how to convert those decisions into action," among other things. Not an easy job in these harried days when it seems there is just too much going on to concentrate on one thing at a time. Their chapters are Focus and Concentration; Fresh Perspectives; Analyzing Options; Making Your Decision; Lessons From the Past; Handling Stress and Emotions, and Taking Action. Firstly, learning to focus isn't that easy, especially if you're prone to allowing your mind to wander off willy nilly. To start off, one has to recognize one's priorities (you have to know what's important and what's not) and to focus on one at a time. Doing one thing well is better than doing a few reasonally well. Next, there is visual thinking and daydreaming (yay! ), listening and looking for intuition or gut feelings, and you're on your way. 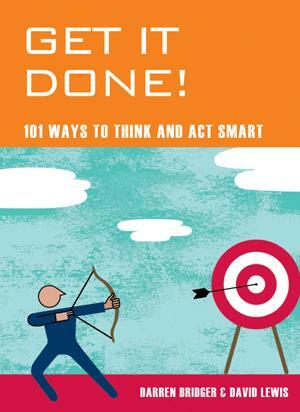 Bridger and Lewis offer much very useful advice, many hints and exercises on how to train your brain to maximize its thought and planning processes, and ultimately, to use your brain effectively in your everyday life. There are also means to finding out your type of personality and also how to build your self-esteem. Visit their websites at www.DarrenBridger.net and www.DrDavidLewis.co.uk, or . Conclusion - Very informative and elucidating.